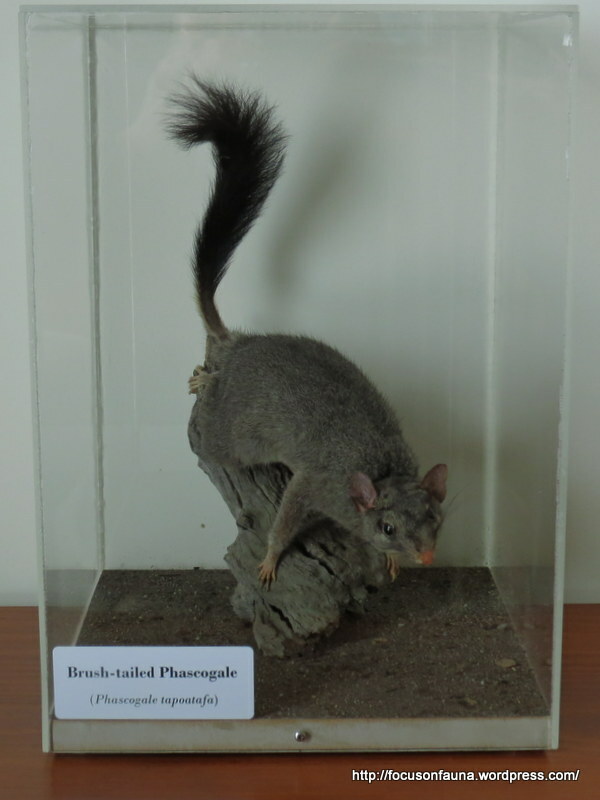 When we took a road-kill Brush-tailed Phascogale to be preserved for the Strath Creek Landcare Group, the taxidermist Dean Smith kindly showed us his workshop in the basement of the Melbourne Museum, where exhibits on display in the museum are prepared, preserved and restored. This proved to be a fascinating experience, with Dean revealing some of the art and techniques he uses. We later visited his home workshop, and discovered more of his skills in preparing replicas and inter-active displays for education. Now you too have a chance to see some of Dean’s work and hear some of the tricks of his trade ! 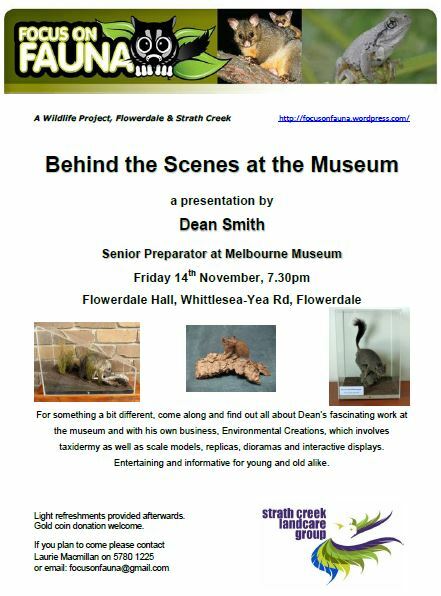 Join us on Friday 14th November at the Flowerdale Hall, at 7.30pm. Click on the flyer at right for full details. For a preview of Dean’s artistry visit his website HERE.